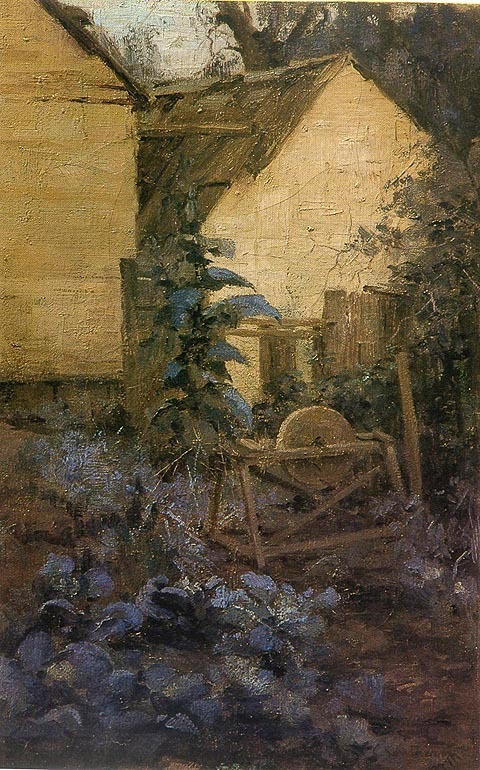 A peaceful plein air work in which the artist has captured the tranquil mood of the cabbage patch in the soft light of late afternoon. There is stillness in the air, with the only signs of habitation being the cottages in the background, and an old grinding wheel, which has not been recently in use, as around it, cabbages have begun to grow. This work was offered for sale through Sotheby's. Fine Australian Paintings. November 1990, Catalogue no.231.